Bands will remain at 20, 40 and 50 percent. Accounts held in currency other than GBP are defined as chargeable assets for capital gains purposes. Unless the accounts is being used to fulfil personal expenditure abroad, every withdrawal is construed as a disposal for CGT purposes and gains or losses are tracked in relation to changes to exchange rates. From the start of the 2012/13 tax year this will change. Any such account held by individuals, trustees of settled property and personal representatives of deceased persons will have an exemption from CGT. 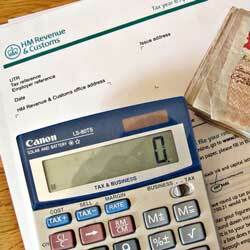 The Government announced it would introduce a statutory definition of tax residence. To create clear rules, for greater certainty and simplification. Changes will now not happen until April 2013, to be legislated in the Finance Bill 2013. Further details to be announced in the 2012 Budget. People who are resident in the UK, but are not ordinarily resident, or not domiciled here are entitle to claim the Remittance Basis of taxation. 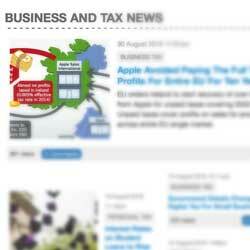 This means any income or gains they bring into the UK are also taxable. Any income/gains that remain overseas is not taxed. Changes are proposed to allow people to remit funds tax free as long as they are to be invested in a UK business. The gross assets of the company, (including the proportion of assets of the companies which hold at least 25 percent of the shares in the issuing company), cannot exceed £200,000 before the shares are issued. The issuing company cannot have more than 25 full time employees before shares are issued. If an individual makes a capital gain in 2012/13 and uses those funds to make a SEIS qualifying investment before the end of that tax year, the initial gain will become exempt from CGT. If within three years the investment is no longer valid for SEIS, the exemption will be removed.